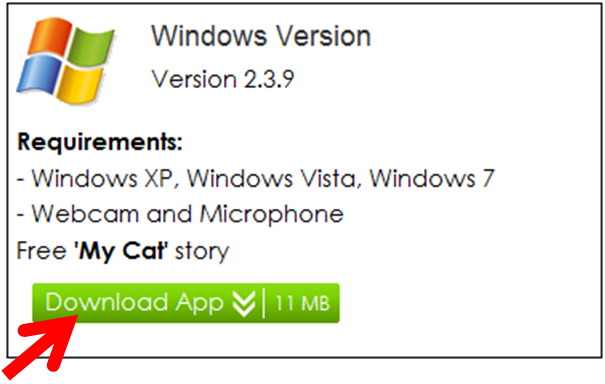 Click on the menu and choose the correct download option for your computer. Double-click on the setup file to open it. Drag the Moo-O application icon, and drop it into Applications folder to install it. Close the installer window after the installation completes. To launch Moo-O, open up a new Finder window, click on Applications on the sidebar, and double-click on Moo-O icon. Follow the on-screen instructions to install Moo-O application. To launch Moo-O, double-click on Moo-O icon on your Windows Desktop. If you already have a Moo-O account, skip this step. 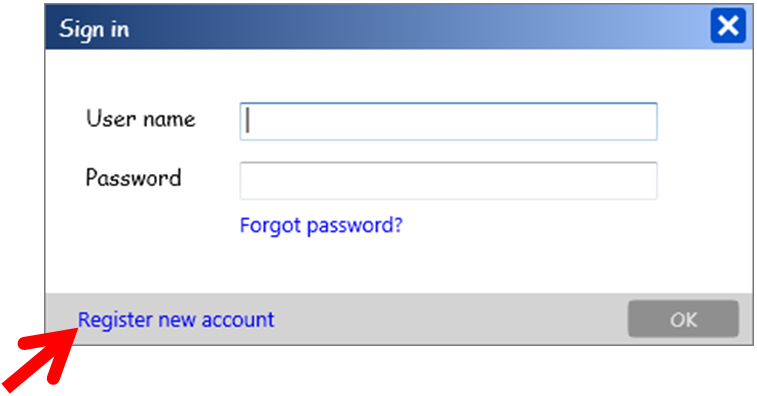 Click "Register new account" on the login screen in Moo-O application. Fill in the information on the registration page to register for a new account. Check out other stories from "More Stories" panel inside the Moo-O application. Select a story to purchase and follow the step-by-step guide to complete the purchase on the browser. 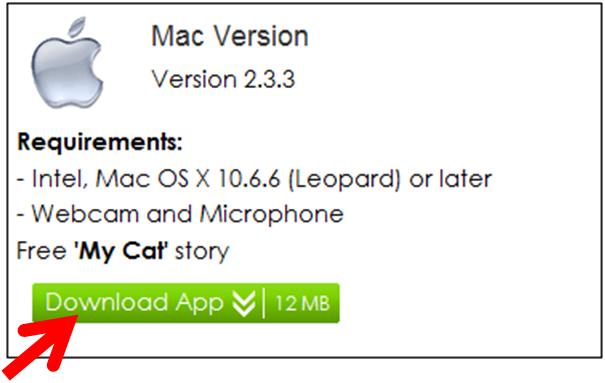 To start using the newly purchased story, restart Moo-O application if it is already open. 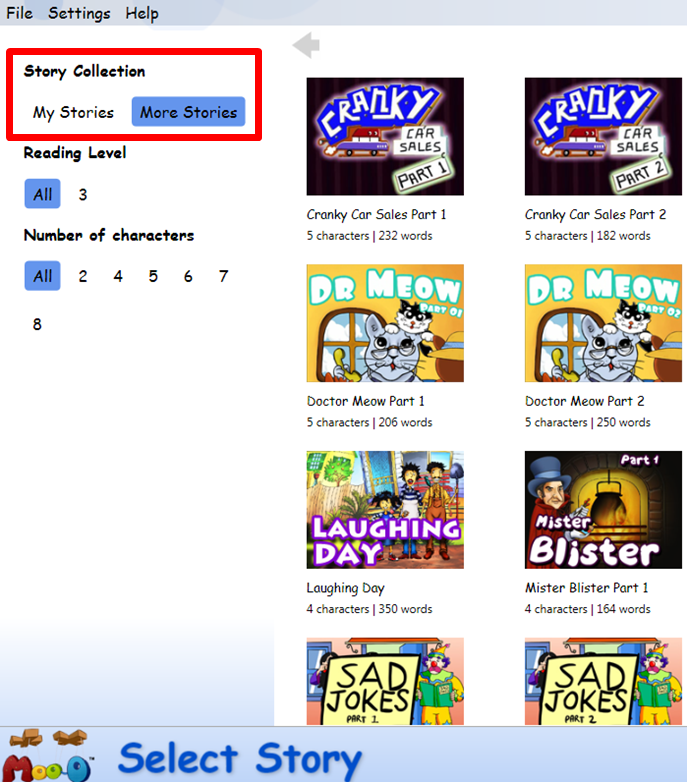 Select that story under "My Stories" panel.